Satyajit Ray’s debut feature, Pather Panchali, premiered at the Museum Of Modern Art almost exactly 60 years ago, and ever since then, it’s been dogged by some of the worst praise that could ever be conferred on a movie that is widely and rightly considered to be great. Shot on a shoestring budget over the course of several years, Ray’s portrait of a rural family scraping by in early-20th-century Bengal is usually singled out for its place in film history and for its hardscrabble production—and all too rarely discussed as a piece of visual art. Ray was a graphic designer, illustrator, and serious film buff from what was then called Calcutta. Though contemporary reviewers tended to paint Pather Panchali as a kind of ethnographic diorama of rural Indian reality, he had no real experience with country life. (Said contemporary reviews also generally didn’t realize that Pather Panchali was supposed to be a period piece.) What Ray knew was good graphic design and the Soviet cinema of the 1920s and 1930s, especially the films of Sergei Eisenstein and Vsevolod Pudovkin. The compositional values of both come to play in the movie’s two most celebrated scenes: little Apurba (Subir Banerjee), called “Apu,” seeing a train for the first time, as it cuts through the landscape; and the rainstorm sequence, which begins with a close-up of a single drop of water hitting the top of a bald man’s head. Working with limited money and often shooting on location, Ray got into the habit of meticulously designing everything. (Case in point: the aforementioned train sequence, which looks seamless, but was actually shot over two years.) And though neither Ray nor his cinematographer, Subrata Mitra, had operated a motion picture camera before the first day of shoot, they developed rapidly as stylists, becoming more fanciful and sophisticated in Pather Panchali’s sequels, Aparajito (1956) and Apur Sansar (1959; also known as The World Of Apu), both superb in their own ways. 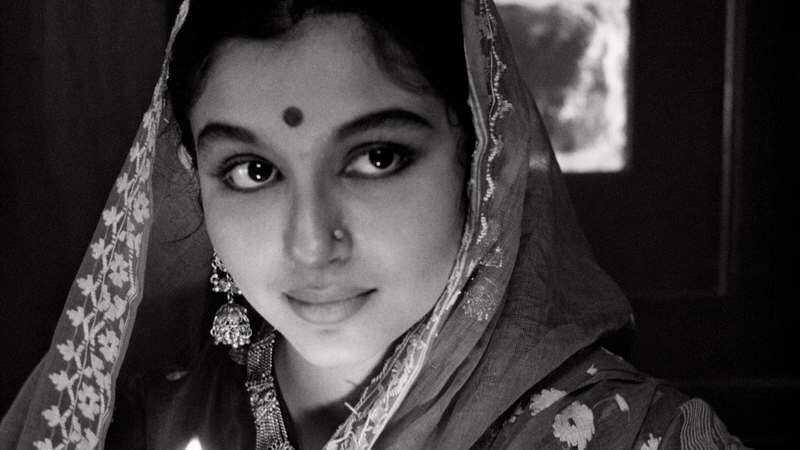 The episodic, slightly fragmented Aparajito makes poetry out of empty spaces and abrupt cuts into rapid movement; Apur Sansar, the most tightly structured of the three films, is chock full of little masterstrokes of visual shorthand, like the way the passage of time is indicated by a camera dollying in and out of a hand fan. All three—loosely adapted from a couple of novels by Bibhutibhushan Bandyopadhyay and collectively known as the Apu Trilogy—are now getting a theatrical re-released in the U.S. For decades, Ray’s name has meant prints woolly with scratches and video transfers that look like gray mud, which makes the new 4K restoration something of a reintroduction, and a chance to discover those aspects of Ray’s art that have often gone overlooked: his keen graphic sensibility; his ability to turn landscapes, especially rivers, into symbolic backdrops; his sense of humor and of the absurd. 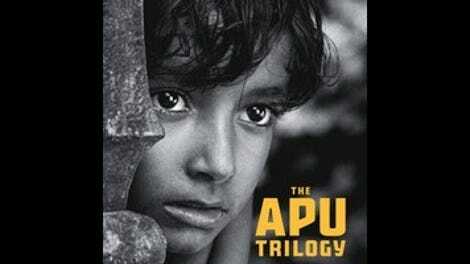 On the most basic level, the Apu Trilogy is a series of movies about death, with Apu—depicted from childhood into adulthood—eventually outliving everyone close to him. However, it’s not miserablist; Apu’s relationship with his family members is complicated, and so is his reaction to their deaths. The trilogy is also something of a national epic. It begins in the countryside, moves on to work and religion in the holy city of Benares, and then to artistic pursuits and ambitions in the sprawl of modernized Calcutta. These are heavy themes, and yet Ray couches them in emotional terms, so that they feel like extensions of character. Meaning changes. The train turns from a source of wonder into a mode of transportation, and then into the something the grown-up Apu (Soumitra Chatterjee) ignores, head bowed, as it rattles by. The country landscape begins as home and then becomes the place where one is forced to go, before it becomes completely abstracted, turned into a backdrop for existential crisis. This is Ray growing as a film artist, becoming as confident with the frame as he had been on paper. Apu grows with him.